The 67-year-old man, who cannot be named to protect the girl’s identity, pleaded guilty to four counts of indecent assault, which is punishable by 10 years’ imprisonment. He will be sentenced on May 29. 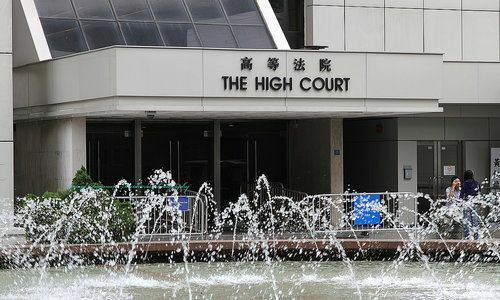 The District Court heard the assaults began in December 2015, when the man climbed into his daughter’s upper bunk and molested her over her pyjamas. “She felt disgusted and turned her back to him,” a clerk read. “The defendant [then] stopped.” But the man threatened to hit the girl if she disclosed the incident to anyone. The assaults gradually escalated last May but stopped short of penetration. On November 8 last year, his wife caught him molesting their daughter in the lower bunk. She explained to her daughter that it was a serious matter and reported the case to police. Defence counsel Karen Cheung said that her client had “little to say for mitigation” except that he was remorseful. “He regretted what he had done and the damage to the girl,” she said. The man also wrote to judge Dufton explaining that he would accept the legal consequences and receive psychological treatment after 128 days of reflection in custody. that is pretty disgusting. I can't believe the man would do stuff like that to his daughter. he should be arrested for life prison.